Posted on September 2, 2015 by codemanbc under border collie, border collie rescue, cross country travel, Oregon, Railroads, Western U.S.
Hi to my loyal and faithful fans. I was a bit pouty when we hit the road…they drew blood from my right forepaw and I kept holding it up just to make My Dad feel guilty. The roads in Illinois, on I-88 and I-80 were either bumpy or under construction. Our first stop was Wilton, IA where they have the longest continually operating confectioner shop in the United States, pretty exciting, right? I think I saw three people during the 35 minutes we walked the town. Who was eating the candy at this store? What? 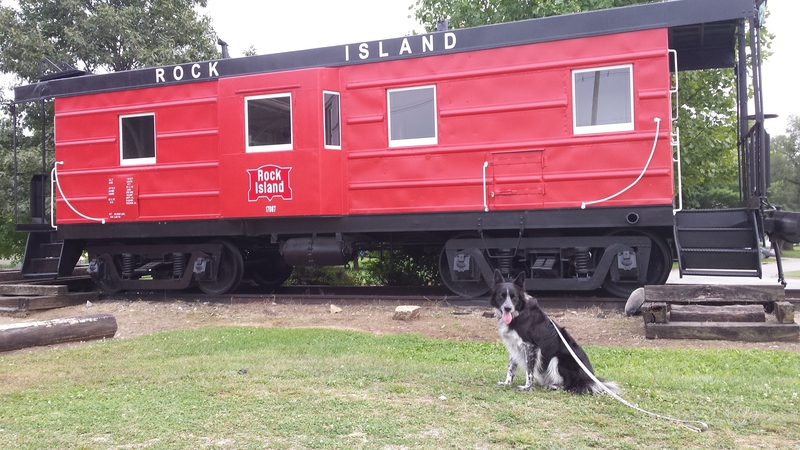 Oh, the Rock Island Railroad used to stop here. My Dad thinks he went through this town in the early 1960’s on the ROCKY MOUNTAIN ROCKET, a train to Denver, Colorado. 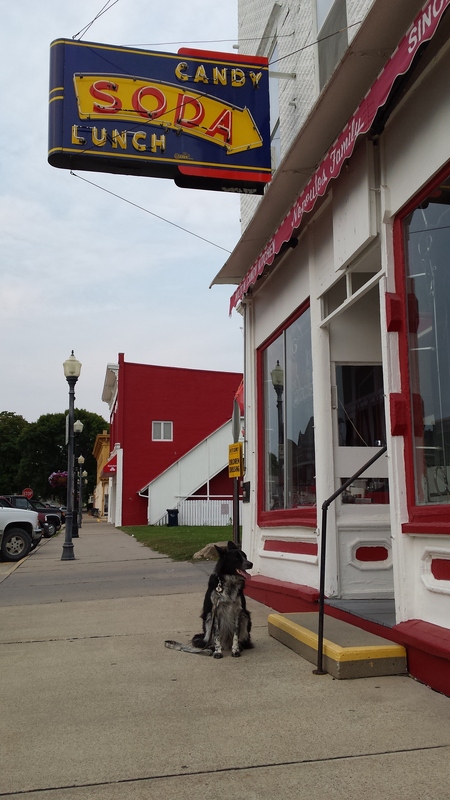 Yawn, the longest continuously operating candy store in the United States…Wilton, IA. A remnant of the Rock Island Railroad empire. Notice what a good boy I am? 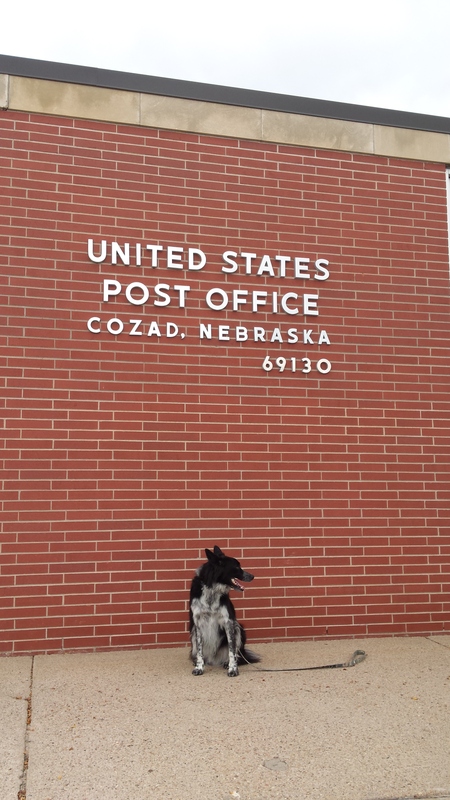 Cozad, Nebraska is home to the 100th meridian, you geography buffs. The Union Pacific Railroad is still going strong…they have three tracks going through Cozad. Their cabooses, though, are a relic of the past. Chimney Rock National Monument, outside of Scottsbluff, Nebraska. Starting to look like the West! 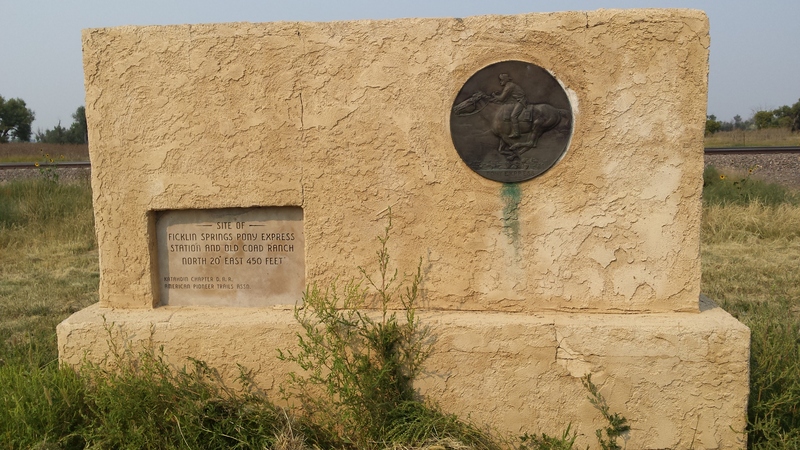 Site of the Ficklin Springs Pony Express Station. 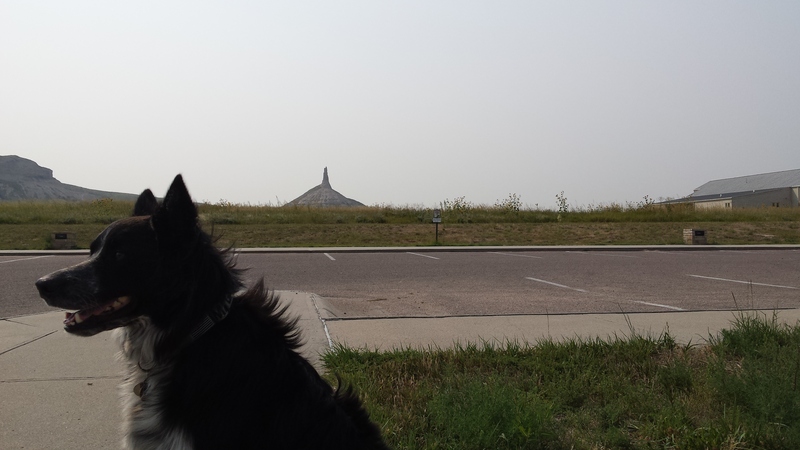 Monday morning, 31 August, we departed Scottsbluff and drove west on U.S. Highway 26. On to the Grand Tetons! 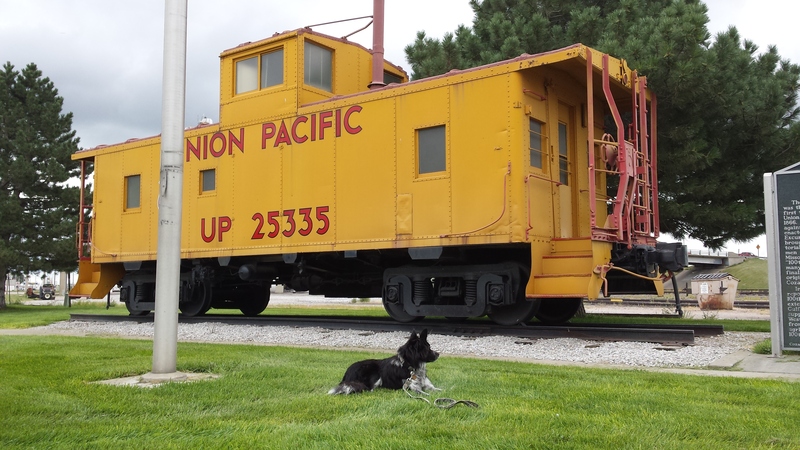 This entry was tagged border collie, car trip, Cross-Country travel, dogs and people, Railroads, Union Pacific. Bookmark the permalink. Interested post, Magic – thanks. Sound like you are having fun and learning stuff too.